On my quest for Agile blogging notoriety, I am often faced with the dilemma of what to blog about and how often. Some books advise daily blogging, some weekly, though all say more is better. But who has the time? And the ideas? I often say that my ideal job would include time to read books, blogs, and write blogs and tweets at least 10-20% of the time, but as most of you probably agree, this just isn’t going to happen during the workday. My personal backlog ends up a mile long and let’s face it there just isn’t the time for it all. Take ideas from daily interactions and write them down (or put them in your phone) so you don’t forget. Even try to write a short paragraph or title and save it to finish later if you’re at a computer. Really if you have a specific blog theme (e.g. Agile) you can probably make ideas from your life fit into it; I’ve certainly been guilty of it. Use Twitter or other blogs to get ideas for posts – either expand on a Tweet you wrote or bounce off ideas of others’ posts/Tweets (make sure to give credit/get permission to avoid stealing someone’s intellectual property). The “favorite” function on Twitter is great for coming back to Tweets later! Don’t stress – I can attest to being worried about posting content under your personal brand that you’re not 100% confident in because you wrote it quickly or is not your usual caliber. However, as I find with Twitter, sometimes the Tweets (or posts) you don’t think much of get the best responses. Think of a theme or series for posts – this gives you something to go on for a few posts (remember blogs are supposed to be short – I shoot for 600-700 words or so) and keeps readers engaged if they like the topic – coming up for me is going to be a series on personal branding within the Agile community. Pomodoro technique – I use this with many things and blogging is one of them. It’s amazing how much of a post you can get done (or maybe a couple) in 25 minutes. Schedule time in to blog – block it off on your calendar weekly and have a goal of maybe 2-3 posts you can draft to publish when you are running low on time during the week – not surprisingly I find Friday afternoons to be a great time. Sometimes I stay late (not that often) to post something after I’m done working for the day to minimize distractions. Use personal time – unless blogging is your only business you probably need to do it on your own time. If it’s important to you, make it a priority instead of that reality TV show or Friends rerun you found flipping through the channels. Make a place for guest blogger submissions on your blog – it can really help others to borrow your light and give you some extra time and take off the stress around posting more frequently. I’m not following this yet, but likely will someday in the future. Another thing you can do both to save time and not have to generate totally new ideas is to promote an older post on your blog and add some new content to it. Maybe your views have changed, maybe you’ve gotten new information, maybe there’s another good post on the topic on another blog to link to – either way it’s a great time saver and works well for when you’re having blogger’s block. I’d love to hear comments for other making time ideas and where else others gather their ideas for new, innovative, or at the least interesting and entertaining posts. Next: Next post: Why Personal Brand? Good read Natalie. I try to intertwine blogging and working as much as possible to make it less time consuming. Normally I test my blogging ideas before writing the post talking to colleagues about the subject I want to blog about and trying to discover different angles to help me add better content and cover more perspectives. I also do the opposite, i.e. use the feedback I get from my posts in my day to day job. In general I find very useful to blog about specific subjects I am working on and this helps me both with content and work. 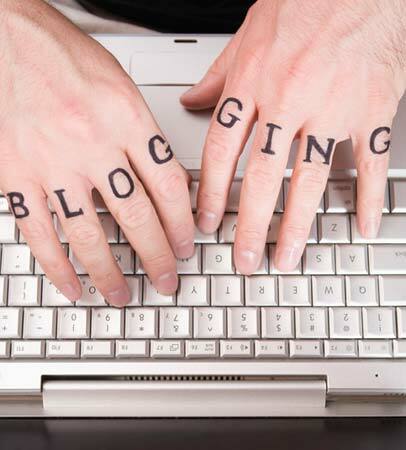 Blogging to me most of the times is a way of giving order to my own ideas and expanding my understanding on a subject. Thanks for the comment, Augusto. It’s always great to get different angles and I’ve read some great posts coming from feedback, too. I appreciate the compliment and I look forward to reading some of your posts! I consistently end up with a dozen or so unfinished blog posts in a drafts folder. Your post convinced me that I need to finish a few of them. I think my main barrier to posting is worrying that the content is not good enough yet. Getting over that hurdle and actually writing is the only way that I can get better though. Keep it up, Andy! Remember you can always go back and improve your content later if need be.